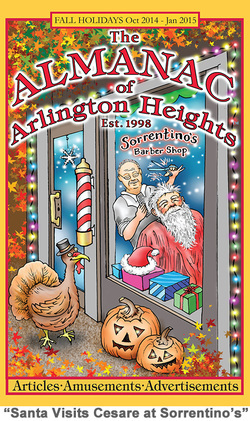 The Almanac of Arlington Heights is a local magazine that highlights the shops and services of the town. It also provides local writers and artists the opportunity to showcase their talents. If you live in Arlington Heights, you are no doubt familiar with the ''little yellow book'' that is delivered to your home and found in businesses throughout the town.